A new casual eatery has opened its doors in the neighborhood. The new addition to Chicago's northwest side, called Hangry's, is located at 5000 W. Fullerton. 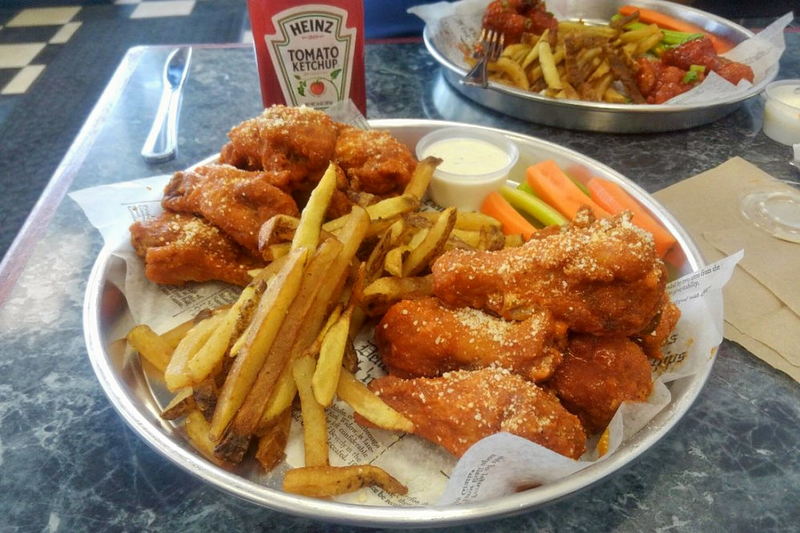 Wings, burgers and pasta dishes dominate this place's menu, but appetizers, salads and milkshakes are also on offer. Noteworthy options include the bacon burger; Pasta Diabla with shrimp, onions, tomatoes and spicy sauce; and the traditional or boneless wings with garlic Buffalo or barbecue sauce. With a five-star rating out of four reviews on Yelp so far, Hangry's is on its way to developing a local fan base. Yelper Gisele G. wrote, "I had the chicken Alfredo and it was so good. This was real chicken that was well seasoned and well cooked. ... We also got an Oreo shake and it was bomb! I am so excited for this place and can't wait to try more of their items." And DM M. noted, "Bacon burger was great. Milkshake well balanced. Fried shrimp awesome. Chicken nuggets good quality. Tortilla soup amazing."